Music, movies, podcasts and conference calls are all things that can have a huge impact on your emotions and mood in general. With that in mind, surely you should be aiming to heighten the effect that the audio being piped into your ears has on you. “How?” we hear you ask, well by enjoying (or soldiering through in the case of conference calls) the experience with audio equipment best suited to you. This forthcoming series of guides are here to help you do exactly that. Myself and Caroline will be running through a large selection of earphones, headphones and other various audio equipment to help you identify what best meets your requirements. The House of Marley, as you may have already guessed, was established by the family of the magnificent Bob Marley. It prides itself on not just offering superior quality products but ones that are also sustainable, recyclable and renewable. We got our hands on a pair of Zion In-ear earphones. The first thing you notice about House of Marley products is the earthly materials they use, wood and fabric rather than plastics. The Rasta colour-schemed cable covering is not just eye catching but also practical as it stands up to significant wear and is also less susceptible to tangling in your pocket. At the end of the cable you will find a gold plated L shaped plug, ensuring not just a quality connection but also one that won’t wear the join in the cable. The Zion earphones are equipped with custom engineered acoustic systems, containing a 9mm moving coil driver. In plain English, that means you can crank up the volume as much as you like and the clarity will not be compromised. Despite being billed as offering strong bass, I was a little disappointed with the bass levels on offer. However, the three button remote-come- microphone is excellent. It is the perfect size, out of the way and easy to use without having to look down to see what you are pressing. It allows you to take handsfree calls and pause, skip forward and backward as well as adjust the volume. Who these would suit – The heavy using average all rounder. The sapele and maple wood ear buds are eye-catching, stylish but most importantly durable. In terms of audio quality there are better offerings out there but for around £98, you won’t find longevity and aesthetics like this anywhere else. With any wireless device the immediate concern is, how easy is it to connect? The answer here is very. Out of the box, synced with my iPhone and over my ears blasting Mysterious Girl in less than 2 minutes. I was also free to wander away from the source of my music up to 10 meters. It gets better yet; the status light on the underside of the right ear piece tells you all you need to know. Whether it is charging, ready to connect, connected or has less than 30 minute of battery left, one little light will ensure you are fully aware of the status of the headset. Charging can take up to 3 hours if they run completely flat but out of the box it only took an hour to get them juiced up and the charge lasted 6 hours. Thanks to the adjustable padded headband and ear cups, comfort is not an immediate problem. Though, my ears did feel a little squashed after wearing the headset for an extended period. Additionally, as the cups are flat sound does escape and this also impacts on the bass experience. The main selling point of this headset is the adjustable microphone which can be tucked out of sight when not needed. It is noticeable to both participants during a call that you are using something other than the phone to talk but nonetheless, the sound quality both received and sent was loud, clear and relatively crackle free. The Logitech Wireless Headset has another trick up its sleeve, the ability to fold up and sit comfortably in one hand. Not just that, but they are also extremely light. The design Logitech have implemented is a very safe one, which has both advantages and drawbacks. The technology behind the buttons on the headset is old school, but responsive none the less. In fact, it is almost reassuring that you hear a click when buttons are pressed. 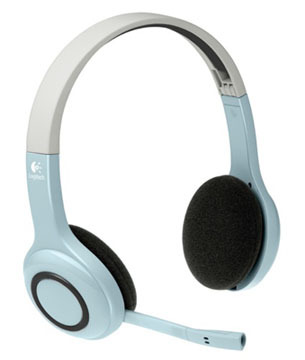 Who these would suit – The office user who likes to use music to concentrate between calls. These are perfect for the office, not bland but certainly not eye catching and at £59 your boss could afford to shell out for a few pairs. If you’re one of those people who enjoys gesticulating wildly and pacing back and forth while you chat then this headset is one you have to consider. The first thing you notice about these earphones is that the cable looks and almost feels like tagliatelle pasta. The second is that they are very plastic and the exterior build quality is something that won’t blow you away. Although, a plus that the plastic brings to the table is durability. The remote-come-microphone works very well for both controlling music and taking calls, but could be better placed as it currently sits against your neck on the cable of the right earpiece. The cables didn’t tangle once despite being bundled into my bag more times than my soggy speedos and the 8.6mm dynamic drivers deliver a solid bass performance. 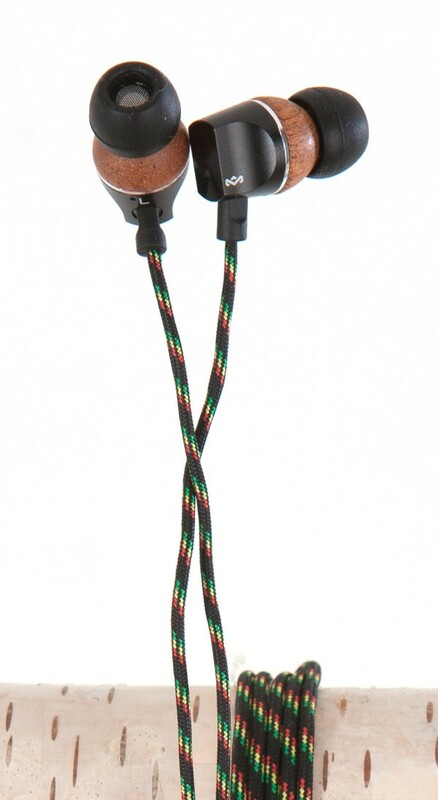 Unlike the House of Marley Zion earphones, the L-shaped plug on these headphones is silver plated and at times you can hear the difference in sound quality because of the alternative and cheaper material used for the connection. One final thing that I would add is that the earphones as a whole, because of how they are made and what they are made from, feel quite heavy so they are not ideal for running or using when you’ll be doing any kind of extensive movement. Infer from that what you will. 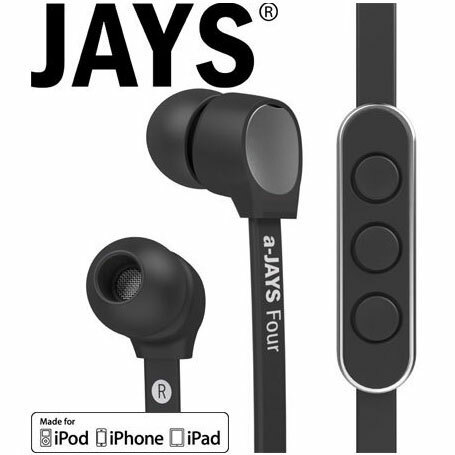 Who these would suit – People who like separate earphones for separate devices. These are best for plugging into a PC or laptop whilst sitting at a desk. The medium price point (£49) is about right. You aren’t getting anything other than a reasonably presentable pair of earphones that will do your music collection justice. Thought, that is all many people ask of audio equipment. Thanks to Logitech, House of Marley and MobileFun (who’ve just launched their own dot com site).